Watch this video of a client case study. This client’s business was in a decline when they came on board. The results? Their website traffic increased by 750% and leads by 1490%. The Ariad team operated not only as a vendor or partner, but as a real part of our Marketing team. Collaboration was genuinely team-based and focused on results, where many outside experts can focus too much on price points. Brenda’s reputation for being highly recommended is well earned. Mario BlandiniVP Marketing, SwiftStack, Inc. I brought Ariad Partners in to help advise us on several inbound marketing challenges we were facing, including marketing automation, SEO and content marketing. Ariad Partners combines good strategic thinking with sound tactical advice and execution assistance. They went above and beyond for us, delivering more value than promised or expected. I would highly recommend Ariad Partners to anyone looking to sort out these and other marketing-related challenges. Ariad Partners provides invaluable insight into marketing that will transform your business. 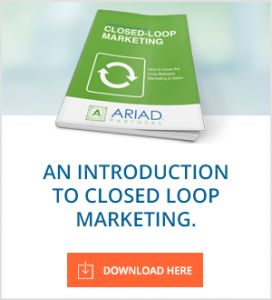 Ariad Partners was the missing tool that we needed in our marketing strategy. Brenda is a strategist and thought leader, which makes for one impressive marketer! She works with integrity and is always there when I need her. She loves what she does and it shows in her work! Carolyn TrintaHead of Marketing, Magellan, Inc.
Ariad Partners provides incredible value. We have seen our incoming website leads increase 600%. The Ariad team has gone above and beyond what was promised. They’ve become a member of our team and a trusted adviser. If you’re considering hiring someone to help with your inbound marketing, I highly recommend and encourage you to contact Ariad Partners. Angelo PassalacquaAssistant Manager, BURG Translations, Inc. Since hiring Ariad Partners, our traffic has grown over 700% and our conversion rate has grown 173%. They quickly learned our business and developed and executed an inbound strategy that delivers results. If you want more business and a firm you can trust, I recommend hiring Ariad Partners. 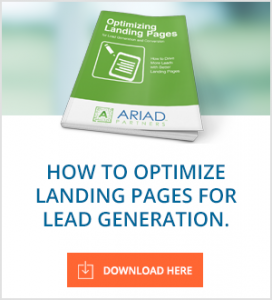 We have been working with Ariad Partners for over a year starting with the implementation of HubSpot and I cannot say enough great things about them. The team is responsive, provides alternative suggestions/ideas and follows up to ensure everything has been handled. They have been a great resource for our inbound marketing initiatives and I would highly recommend them to anyone looking for inbound marketing assistance. Brenda, of Ariad Partners, has been a terrific partner. We needed to port and totally redo our website on HubSpot. Brenda importantly listened to what we wanted and was extremely flexible and responsive in meeting our needs. Equally important, the quality of the work has been excellent and there is no stinting in terms of delivery based on price points. Brenda and her team embody excellent customer service. I wholeheartedly recommend them! From strategy to creation, Ariad Partners can help you understand your buyer’s journey and deliver the right content to the right person at the right time. Ariad Partners will help you get found online by your target buyers using the strategies that are successful today, including Content, Links and Social Media. Ariad Partners will help you determine where your audience is and manage your social media accounts for maximum reach and results. We assist you in educating and communicating with your prospect using personalized, targeted emails designed to nurture your buyer through the buying process. 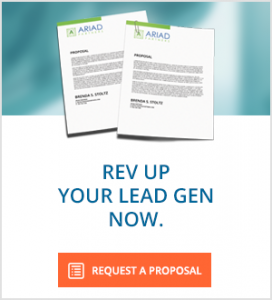 Ariad Partners helps you understand the steps in your lead process, stay engaged with your leads throughout the process and ensure a reliable hand-off to sales of only the highest quality sales leads. Turn your marketing from a cost center to a profit center – with accountability for results. Araid Partners helps you measure and evaluate marketing performance to truly understand the impact on revenue generation.